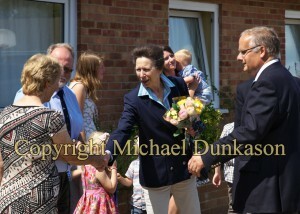 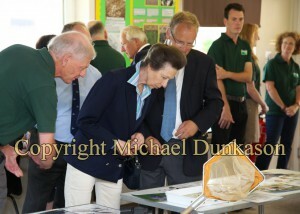 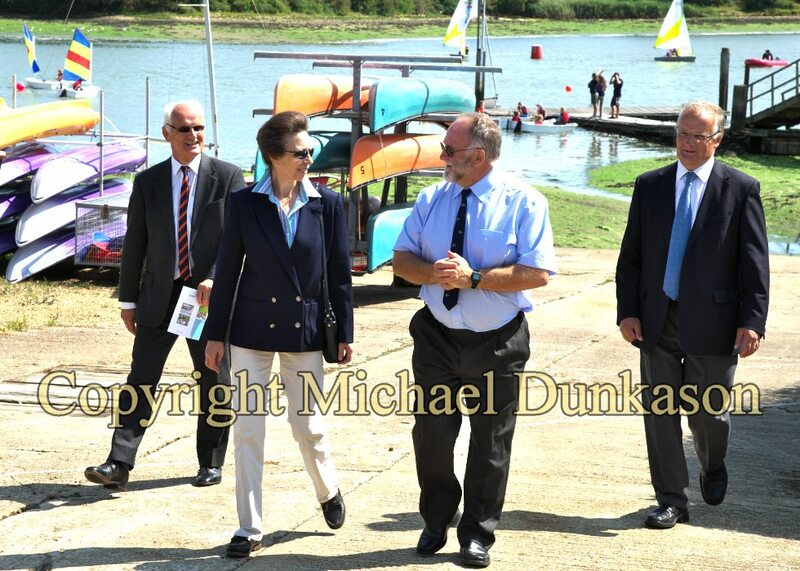 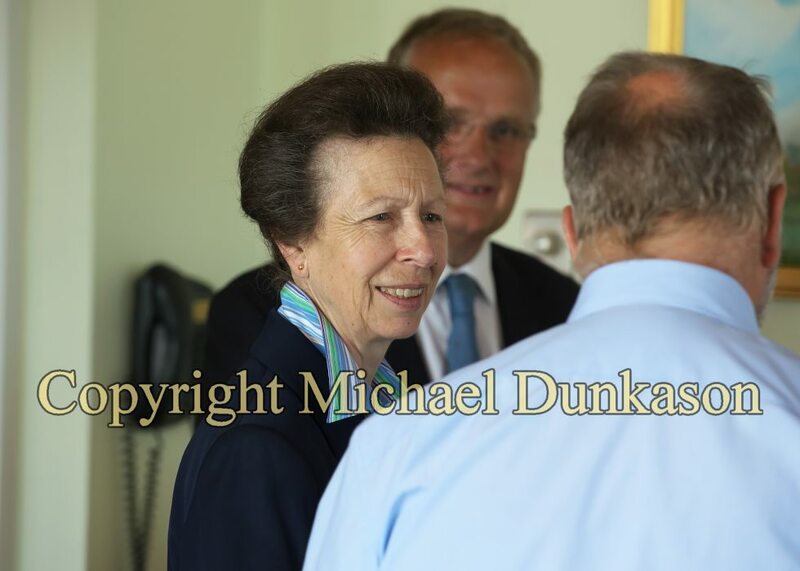 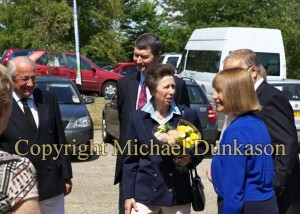 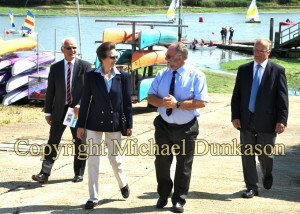 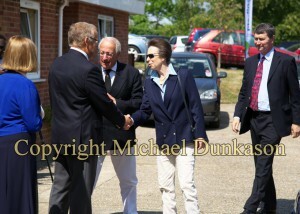 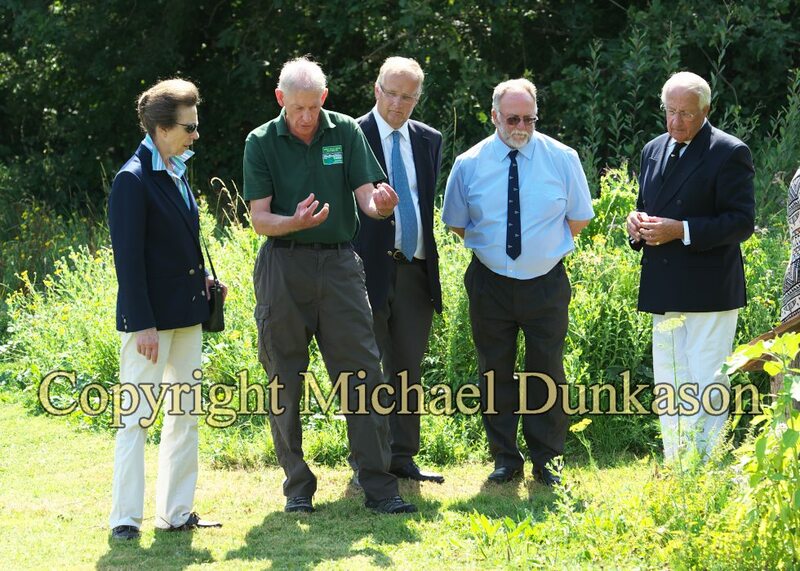 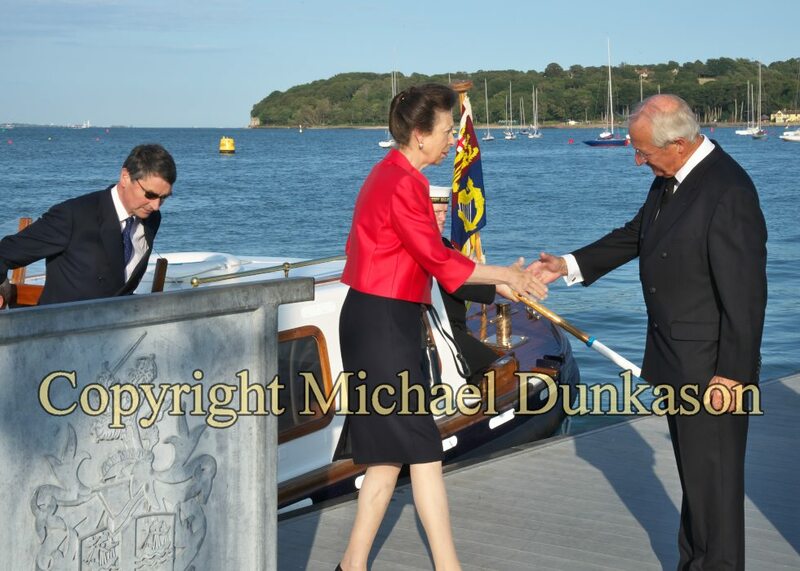 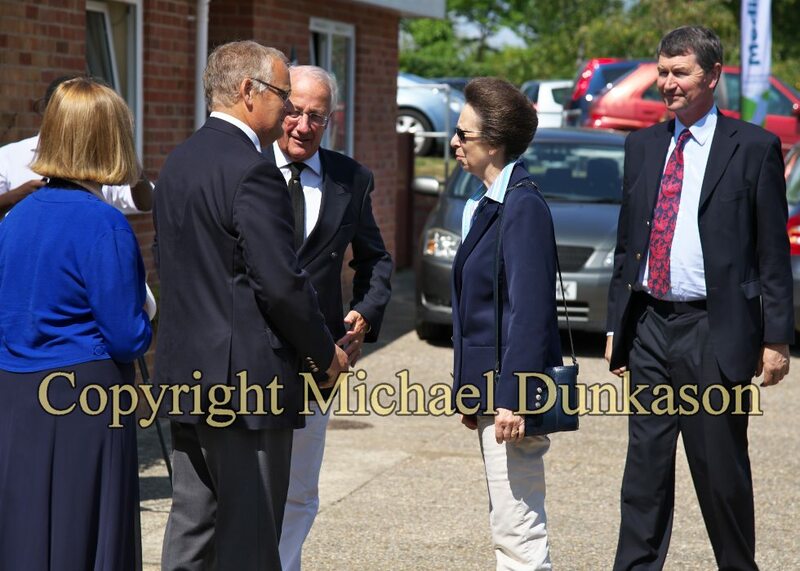 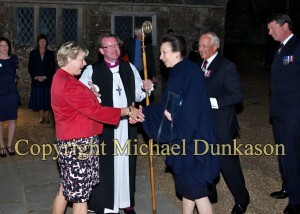 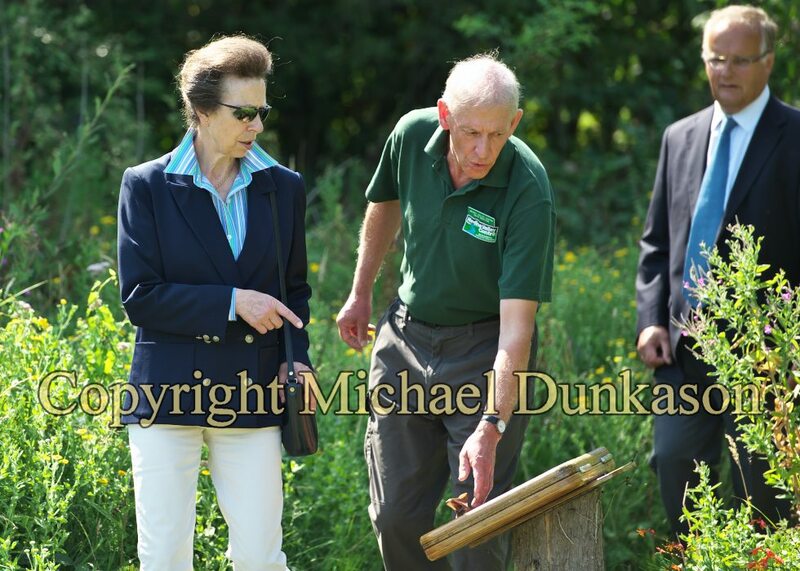 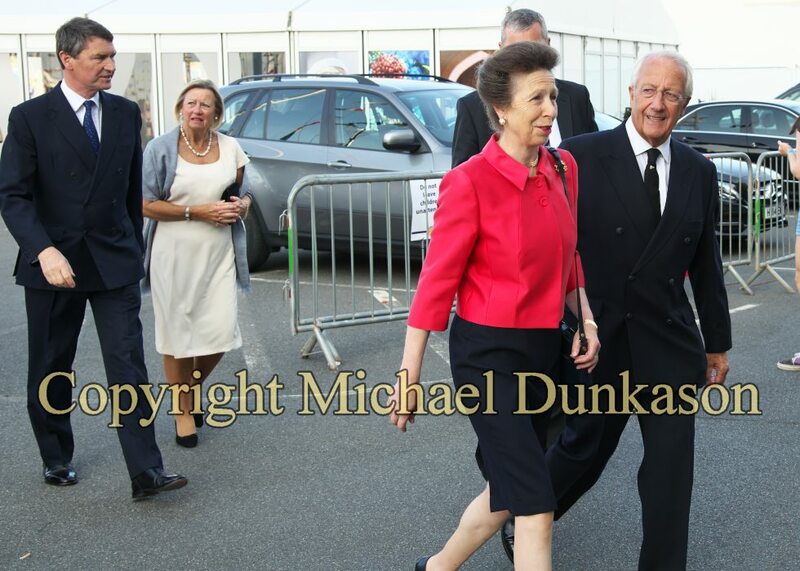 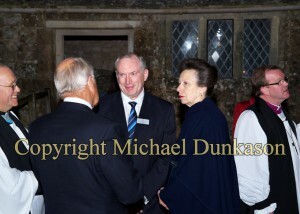 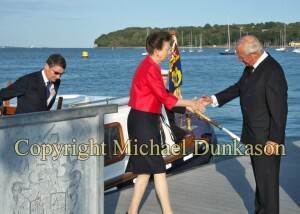 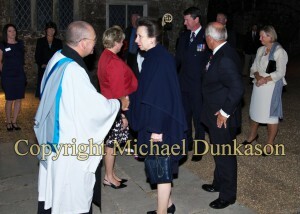 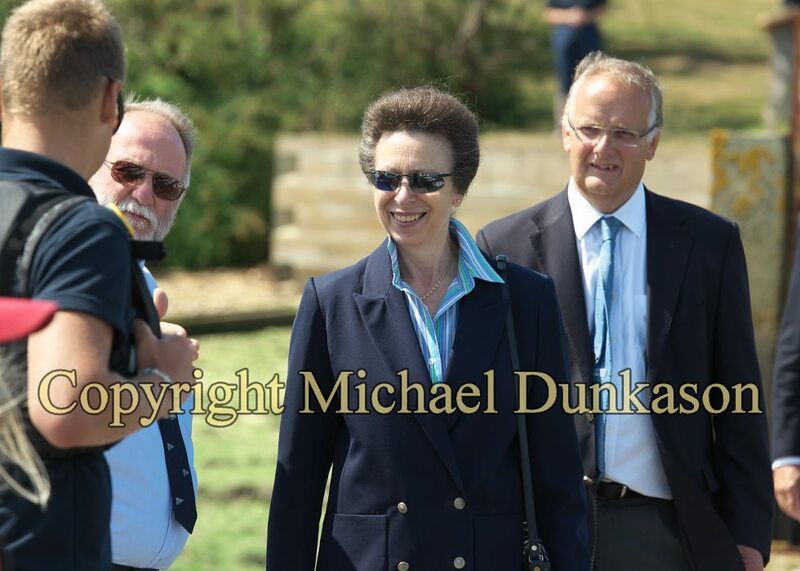 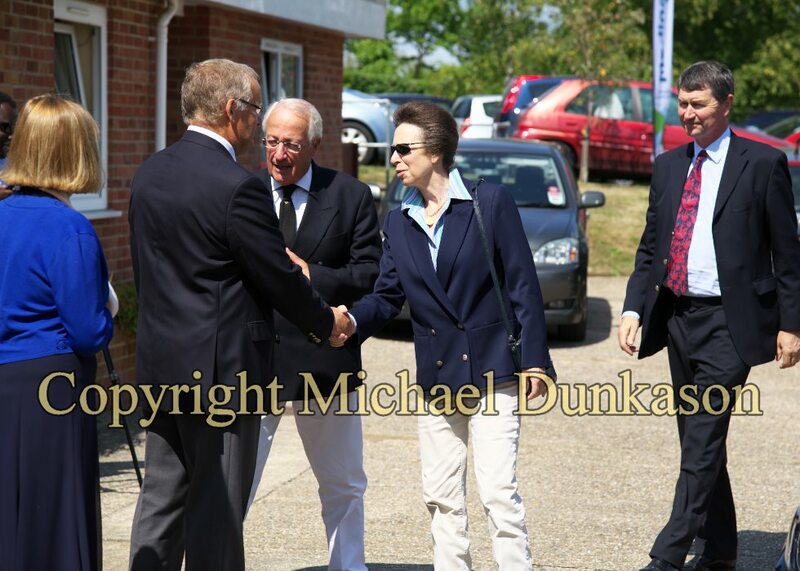 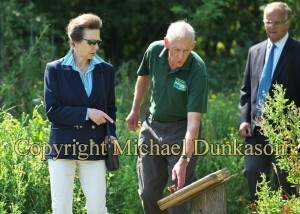 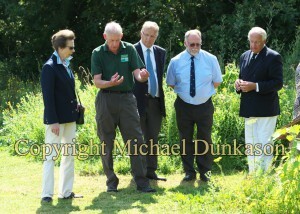 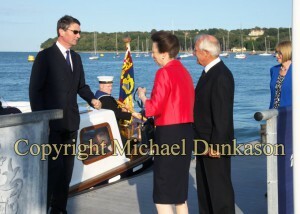 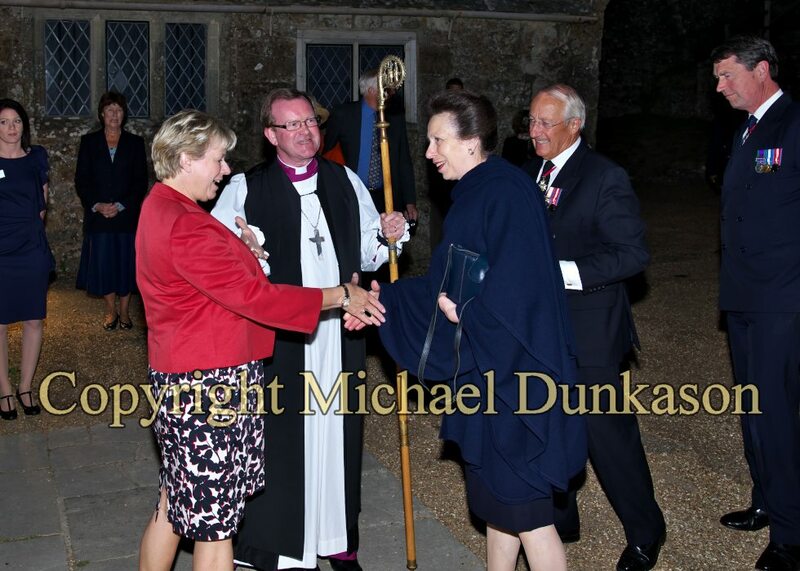 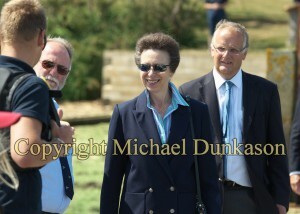 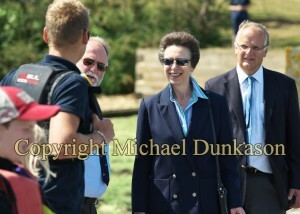 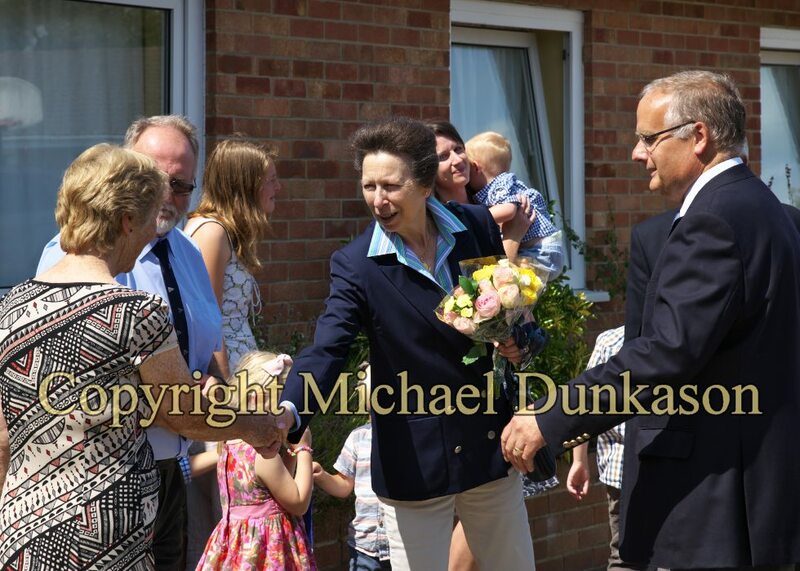 HRH The Princess Royal visited the Isle of Wight on Monday 4th August 2014.. Her first engagement was at the Medina Valley Centre, an independent environmental and outdoor education charity situated on the banks of the River Medina near Newport. 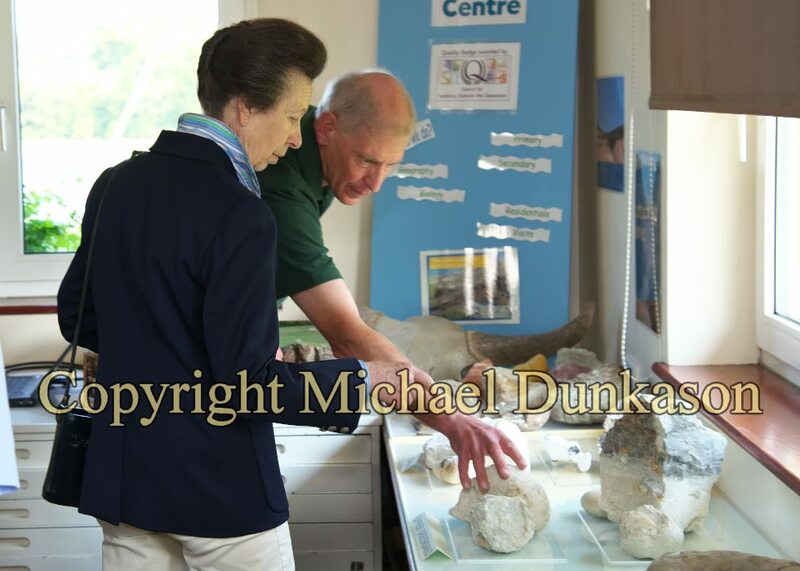 HRH was invited to tour the waterside facilities viewing three new dinghies, visit one of the field studies classrooms and walk the centre’s nature trail. 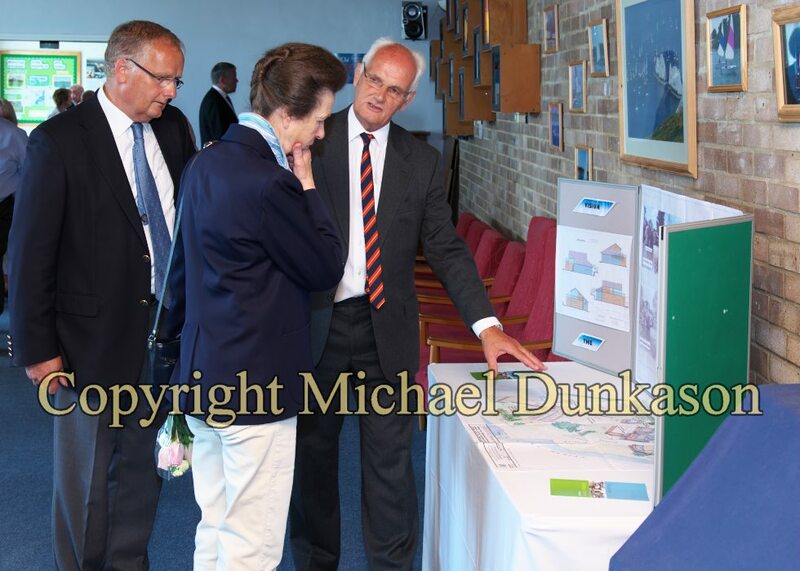 Her Royal Highness then attended a reception at the Royal London Yacht Club in Cowes, in her capacity as admiral, where she met flag officers, members and trustees. 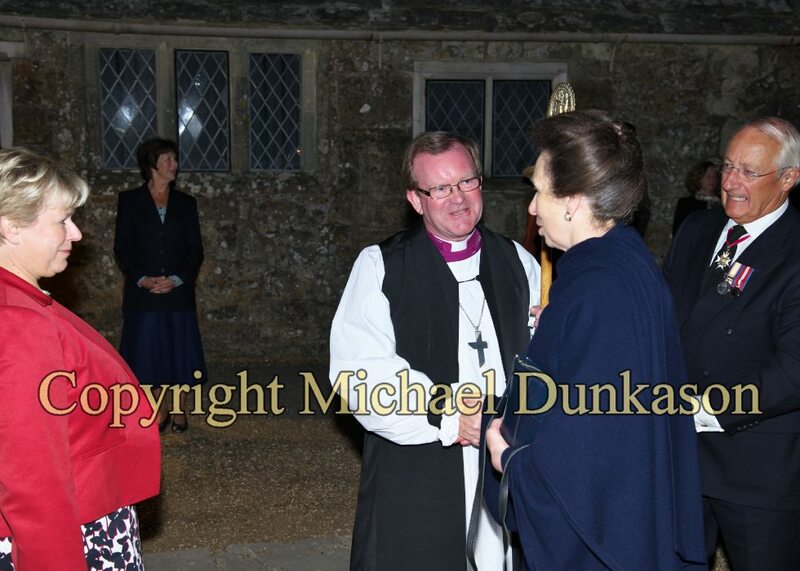 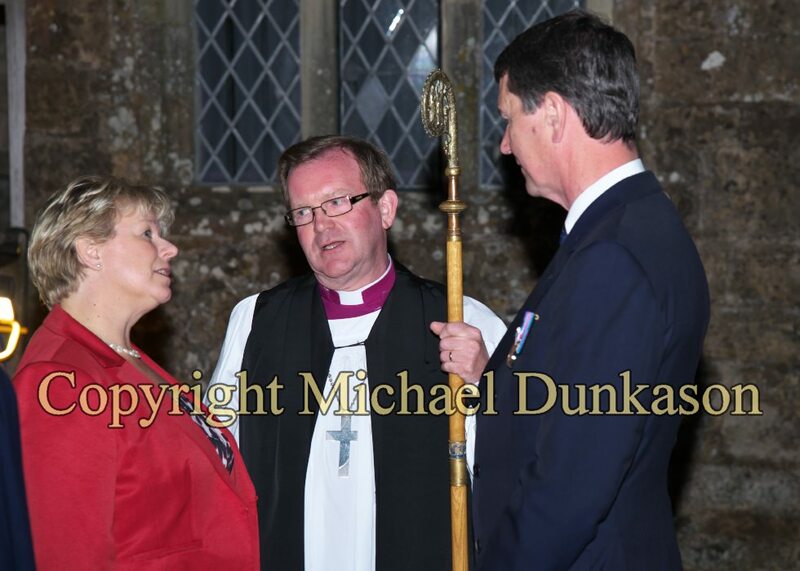 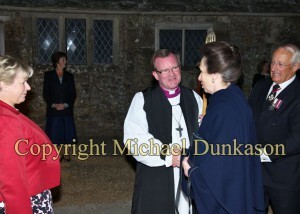 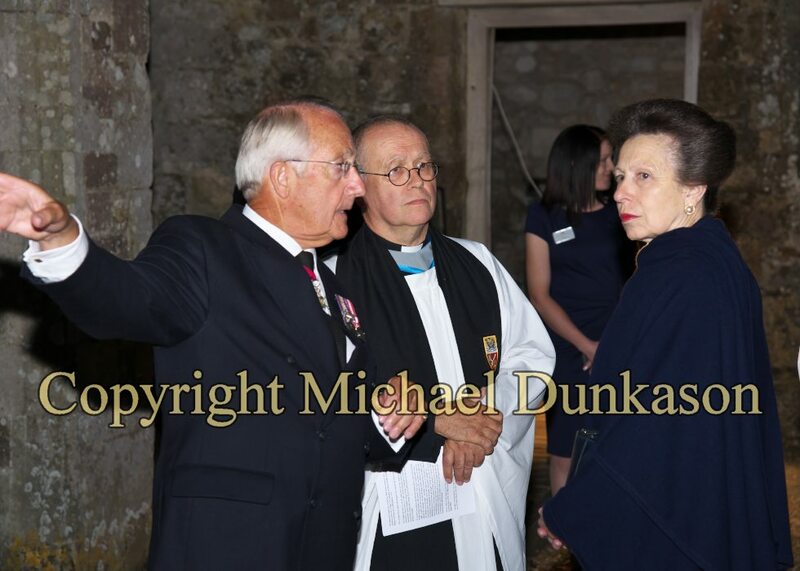 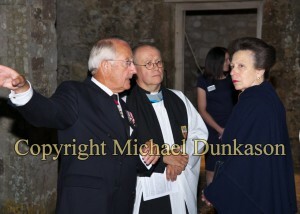 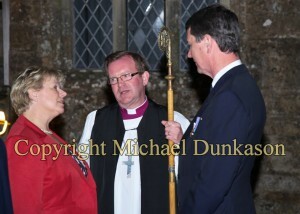 That evening Her Royal Highness attended a vigil service at the Chapel of St Nicholas in Castro in Carisbrooke Castle, the Island’s official war memorial, to commemorate the outbreak of the First World War. 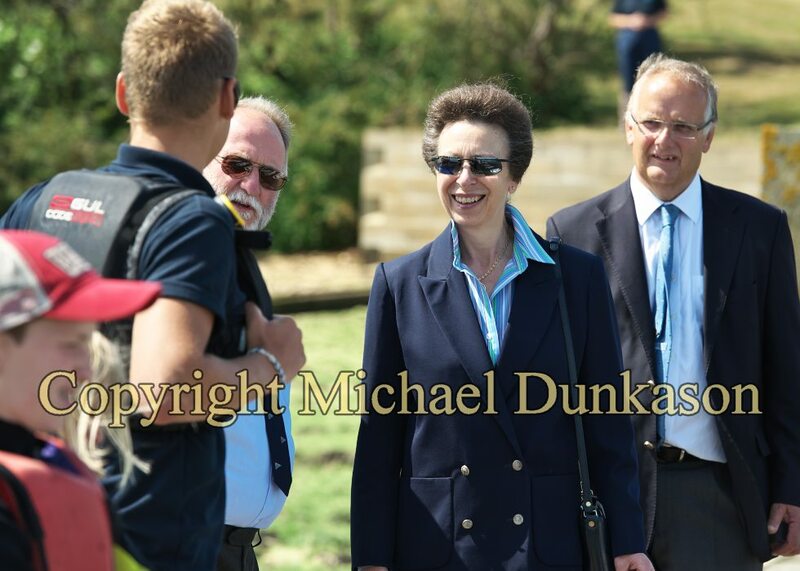 The following day, The Princess Royal took part in yacht racing in the Solent with young ambassadors and representatives from Cowes-based youth charity UKSA, where The Princess Royal is patron. 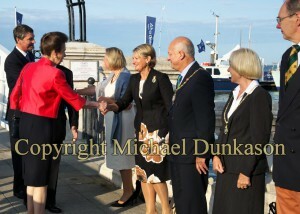 At 10am on Tuesday 5 August, to mark 100 years after the first shot at sea was fired by the Royal Navy a day after the First World War in Britain was declared, the National Museum of the Royal Navy marked the centenary by inviting a sail past by Royal Navy patrol vessel HMS Mersey off the Royal Yacht Squadron. 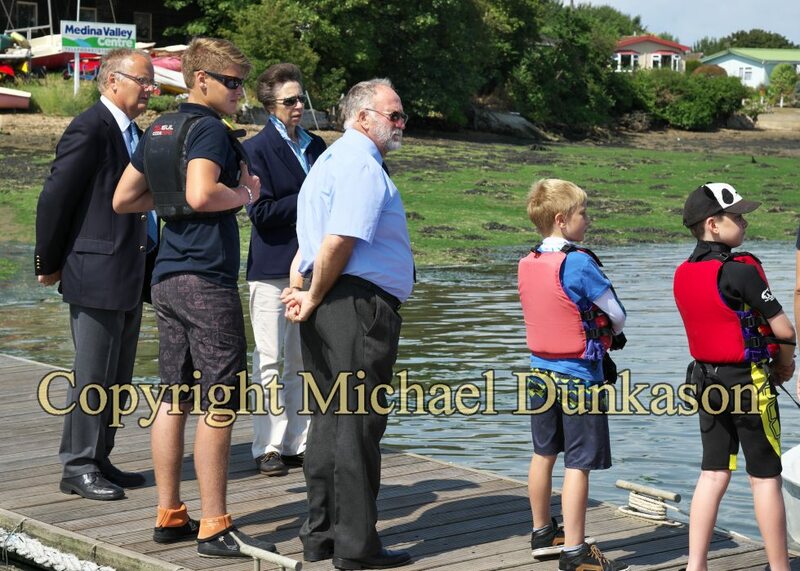 A single cannon was fired from the Royal Yacht Squadron and spectators and competitors joined together for a one minute silence in memory of all those who have served in defence of the nation. Click here to return to the Recent Royal Visits page.